There can be a use for the Magic Quadrant, but make sure you use it correctly. This series has discussed flaws with the Gartner Magic Quadrant (MQ). Part One looked at how Gartner unnecessarily limits those who can appear on the MQ. Part Two demonstrated how Gartner clients can use their analyst time to gain a better position on the Quadrant. Part three investigated one company that scored high on the Quadrant and compared this ranking to its low user scores. It provides an overview of the big players in an industry. Gartner’s requirements for revenue, number of billion-dollar clients, and global presence help determine who the largest players are. The Strengths and Cautions (Euphemisms for Pros and Cons) for each product give a very high-level overview of what the company does well and where it needs to improve. This chart has only one qualifier: The movie had to have been nominated for a Best Picture Oscar in the most recent Academy Awards. We have more details at the bottom as to our thoughts on each and why they placed as they did, but you can see how this is flawed. All of these movies are good, even great, but if your goal is to find the movie from 2017 that will entertain you the most, the answer might not be on this chart. Someone who loves superhero movies might prefer Guardians of the Galaxy Vol. 2, Wonder Woman, or Justice League. Fans of the Star Wars and Fast and the Furious series might feel similarly underserved. In fact, fans of 2017’s thirteen biggest box office hits will likely wonder where their favorite is. Again, that’s not to say the chart is useless. In the days leading up to the 90th Academy Awards, the Los Angeles Times responded to the usual anti-Oscar grumbling by publishing an essay from Kenneth Turan. In the persuasive piece, Turan argues in favor of the annual ceremony. His words sum up why the Oscars (and the Magic Quadrant) are at once highly flawed and undeniably valuable. The awards don’t represent any absolute standard of excellence or quality and they never have. Rather, they demonstrate the particular taste of a finite group of people at a specific point in time... although the group’s taste is not always mine, what it has to say matters because it’s speaking from a place of knowledge and experience, that continuum is part of what keeps the award relevant. He goes on to suggest that the Oscars couldn’t possibly qualify as completely meaningless. If that were the case, we wouldn’t bother to question their relevance at all. You can easily apply his argument to Gartner’s Quadrants. 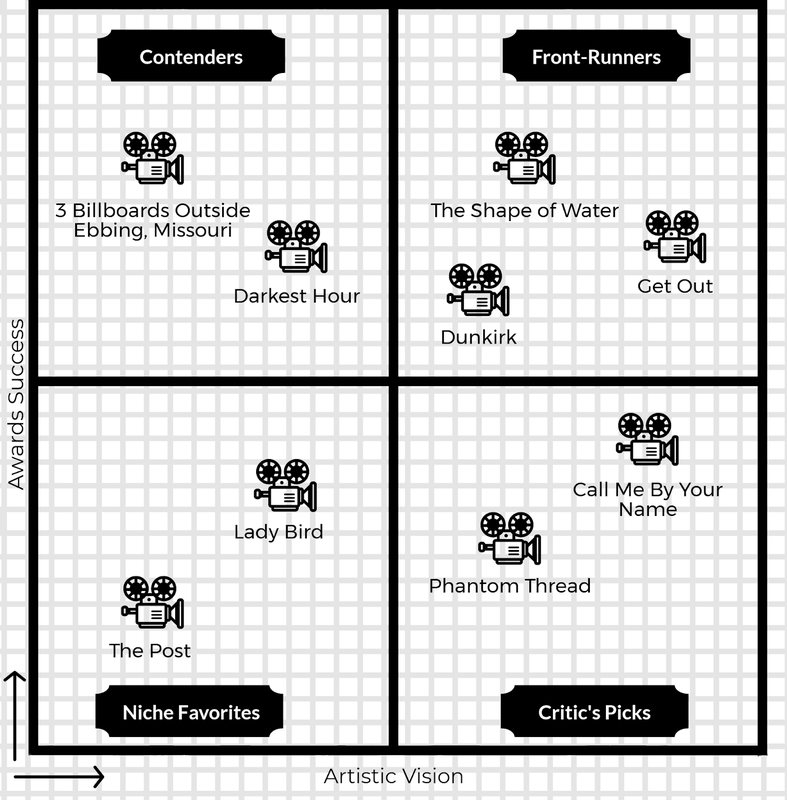 The Magic Quadrant and the Academy Awards have a lot in common and need to be used similarly. They can get you a list of products that are least likely to disappoint, but they simply cannot be used to determine the best product for your organization or to gain a comprehensive view of what’s available. 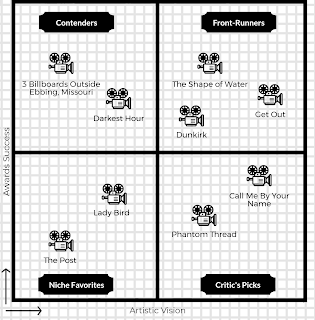 Just as genre films and tiny indies miss out on Oscar night, there are organizations left off the Magic Quadrant because they didn’t meet revenue, global presence requirements, or because they service a specific industry. The one-size-fits-all approach favored by both Gartner and the Academy mean that unique needs and tastes are rarely accounted for. They’re both far from useless, but they’re equally far from serving as a true gold standard. Source One’s Procurement Technology advisers know there’s no one-size-fits-all solution for an organization’s concerns. That’s why we embed ourselves within a client’s Procurement department to assess their needs and work directly with them to develop roadmaps for successful implementation. Reach out today to discover the world of solutions that so-called ‘definitive’ rankings might ignore. Situated in a unique region between Hollywood tradition and auteur-driven experimentation, Guillermo Del Toro’s Best Picture winner had something for everyone. Not only were audiences and critics impressed, but the film earned a heap (13!) of both major and below-the-line nominations. The film’s runaway success makes it a perfect fit in the top-right of our chart. Like Shape of Water, Dunkirk blended the familiar with the far-out and experienced a heartening level of success. Despite featuring about a paragraph of dialogue, an anxiety-inducing approach to sound, and very few recognizable faces, the film still enjoyed months of prominence at the box office. It even managed to defy the odds and carry its summer momentum all the way to February. Though it came up short in the major categories, Christopher Nolan’s film certainly earned its spot on the Mystical Square. Despite its tiny budget and relative lack of star power, Get Out became a box office hit and a zeitgeist sensation. Even more impressive, the film was released a full calendar year before the Oscar ceremony. Writer-director Jordan Peele’s vision was so complete, his cast’s execution so excellent, that Get Out remained a fixture of the cultural discourse for month-after-month. It even lent itself to a couple of memes! Thanks to its success, Peele has become one of Hollywood’s most in-demand artists and the horror genre has managed to shed some of its negative reputation. It happens every year. An Oscar front-runner emerges from festival season only to suffer through backlash, reappraisal, and another backlash. In 2017, 3 Billboards Outside Ebbing, Missouri was that film. Coming out of Toronto as the Best Picture favorite, the film’s controversial politics soon threw doubt on its Oscar chances. Though the film ultimately executed by picking up the Best Actress and Best Supporting Actor trophies, its inability to maintain public affection and take home the big prize speaks to a lack of long-term vision. Darkest Hour faced many of the same complaints that dogged The Post. Labeled stodgy, old-fashioned, and even retrograde, the film nevertheless earned Gary Oldman the first Oscar of his storied career. Though it’s no more visionary than Spielberg’s film, it certainly executed more effectively on Oscar night. A darling of the festival circuit, Luca Guadagnino’s romance rode its early momentum to four Oscar nominations. Though the film inspired memes, controversy, and nationwide affection for its young star, it failed to connect at the box office and missed out on key nominations for its director and supporting cast. For that reason, it’s a textbook example of vision over execution. Speilberg’s film had a lot going for it. Meryl Streep turns in a predictably excellent performance, the supporting cast is wonderful, and the film’s historical narrative resonated with our current political climate. That being said, the film could hardly be called visionary. When The Post’s unremarkable trailer dropped, the question on many lips was, “Really, another historical drama from Spielberg?” In a lineup featuring films like Phantom Thread and The Shape of Water, Spielberg’s straight-laced drama couldn’t help but look a little boring. That’s why it went home empty-handed and finds itself in the bottom-left of our chart. It pains me to place my favorite film of 2017 among the niche players, but our methodology is what it is. Though it scored with critics and audiences, Lady Bird couldn’t connect at the Oscars. Greta Gerwig’s debut feature ran into much the same trouble that Spielberg’s film did. As easy as it was for voters to dismiss The Post as ‘just another historical drama,’ it was even easier to dismiss Lady Bird as ‘just another coming of age movie.’ Those sentiments, however small-minded, secure both films the niche player label.